An intimate look at the famed designer and his work, revealing his artistic process and influence. Modernizing haute couture. Pioneering high-end ready-to-wear. Bringing masculine ease to womenâ€™s clothing. Legendary fashion designer Yves Saint Laurentâ€™s reputation precedes himâ€”but what of the man behind the work Fashion historian and YSL expert Florence MÃ¼ller traces Saint Laurentâ€™s career, from aspiring designer to Christian Diorâ€™s protÃ©gÃ© to director of his own fashion house from 1961 until 2002. The book emphasizes the designerâ€™s creative processâ€”his inspirations, the conception and fabric selection, the various stages of fitting and productionâ€”and takes the reader behind the scenes of the atelier. Also featured are original sketches, runway shots, and never-before-published photographs of Saint Laurent at work, as well as new photography of iconic YSL designs from the exhibition, including the first Tuxedo pantsuit (1966), the Safari tunic (1968), the Mondrian dress (1965), and the Wesselmann dress (1966). The book also includes a 1991 interview from Le Figaro with the late designer. 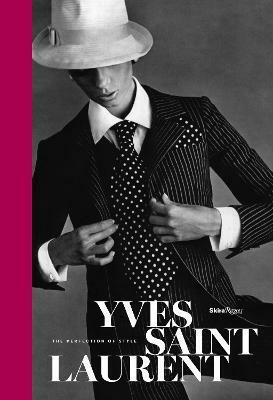 This focused exploration shows how Saint Laurentâ€™s radical clothes for the modern womanâ€”presented here in gorgeous detailâ€”continue to inspire fashion lovers and fans of art and design for their innovation and perfection of style.